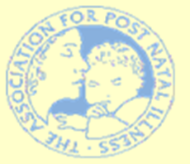 The aim of the organisation is to provide support to mothers suffering from post-natal illness, increase public awareness of the illness and to encourage research in to its cause and nature. Postnatally depressed women may feel unable to go out of their house, and meeting people causes them a great deal of stress, therefore contact made on the phone is ideal. Mothers find that talking to someone who has had the illness and recovered allows them to talk about the most distressing symptons of the illness. The phone volunteers also give mothers hope that they will eventually recover. For those who are not on the phone, or prefer not to talk directlry to a volunteer, we can offer the serivces of volunteers who will communicate by post/email. This service is also available to women who would prefer to be supported by post/email. Helpline open Monday to Friday from 10am to 2pm.